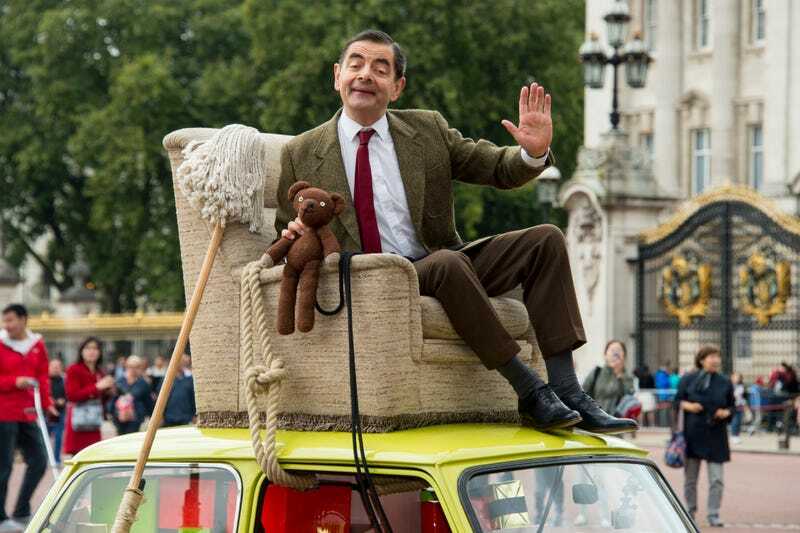 Recently, a post claiming that Mr. Bean actor Rowan Atkinson committed suicide began making the rounds on Facebook. If it wasn’t clear from the fact that the birthdate on the post would make him 21 years old and the featured photo looks like the work of a bored middle schooler, Atkinson isn’t actually dead. A screenshot of the post circulating Facebook that appears to link to the BBC, but has the photo editing of a middle schooler and the math skills of someone who can’t count to 20. After catching onto the whole thing, Snopes debunked the post and its false claims on Friday. The post—obviously not meant to inform the public—is one known as a “clickjacking” scam, according to Snopes. Rather than leading users to a story, clicking the post will redirect to a website that attempts to obtain things such as Facebook access, personal information and survey answers. [Atkinson’s] publicist said he had been “battling severe depression”. In the past he had talked, and even joked, about his struggles with alcohol and drugs. Atkinson had recently returned to a rehabilitation center to “fine-tune” his sobriety, the Los Angeles Times reported in September. “At this time, the Sheriff’s Office Coroner Division suspects the death to be a suicide due to asphyxia, but a comprehensive investigation must be completed before a final determination is made,” police said in a statement. If you follow Facebook hoaxes closely, this may sound familiar. That’s because it happened back in 2013, to the extent that outlets like The Epoch Times cleared up the rumor about Atkinson’s suicide while also warning users to beware of the malware associated with the rapidly circulating post. That’s the reason why the age listed for Atkinson in the headline is 58 years—born in 1955, Atkinson is 61 years old. He would have been 58 when the post originated three years ago. Atkinson was also the subject of a death hoax in 2012, when a Twitter user got bored and decided to tell the world that he’d died in a car accident. The poor guy just can’t convince the world that he’s alive and well. It’s ironic, considering the fact that he’s living it up more than a lot of us are—most of the world’s population hasn’t put over 40,000 miles on a $12 million McLaren F1. Not Dead. Very Much Alive.